I’ve been ruminating on a few game design thoughts for a bit, as I tend to do when I haven’t tweaked Dinosaur Cowboys in a while. Those creative energies have to go somewhere! Then I realized I had a few topics I wanted to talk about, so I figured I’d make some posts covering each. 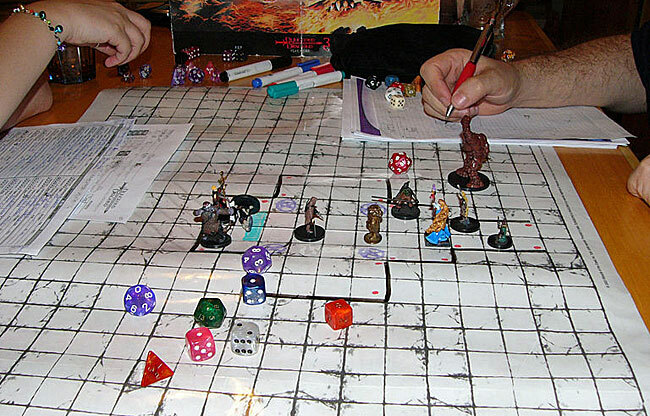 This section is specifically in regards to Dungeons & Dragons (4th edition), but the concept applies to many other RPGs (both pen-and-paper and computer games). Before I get too far into the topic let me say a brief disclaimer that yes, I am aware a lot of people don’t like D&D, or 4th edition, or “it’s like an MMO”, and the rules don’t lend themselves to roleplaying. And let me just say D&D isn’t meant to be some artsy fartsy indie RPG where you collectively tell a story and have quirky characters and stuff. When people say “D&D is a bad RPG” they aren’t far from the truth, because although you play the role of your character, there aren’t a ton of in-game rules or systems to do so (I don’t think you need many, but that’s beside the point). But what people should focus on is D&D is a great cooperative fantasy battle system. 4th edition is meant to have balanced classes, combat roles are interesting and focused (Defender, Striker, etc. 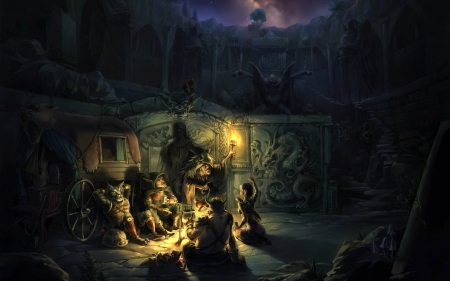 ), every character has a lot of neat choices on their turn (as compared to other D&D versions where a Fighter would eventually be outdone by a Mage, without fail), there is a team element of combining abilities and planning, positioning matters, and the mechanics and rules for combat are clear. So to the above topic, D&D fulfills that vision and design very well. In some ways this focus on grid-based combat means D&D is closer to a skirmish game with a campaign system than a full fledged RPG. But that’s leads to my one complaint: throwaway fights in RPGs. D&D has some elements of resource management. You have limited consumable potions, you have “Daily” powers that can’t be used every fight (so you often save them for the big boss fight), Hitpoints and healing wears down slowly from damage, etc. The rulebook recommends around 3 encounters per day before the players get a chance to fully recharge their resources. And a common problem is avoiding this 3-fight rule of thumb by resting after each fight, resulting in the term “15 Minute Adventuring Day”. As an adverse effect of this some of those 3 fights would be throwaways meant to grind down resources. In these fights the players weren’t in any real danger of dying, being defeated, or failing to complete their goal. Instead a group of goblins would throw a few spears, shave off a few Hitpoints and potions, then die/flee. Going back to video games this problem still exists and is endemic to the genre. Action RPGs like the Diablo series, Torchlight, Path of Exile, etc. might suffer the worst. 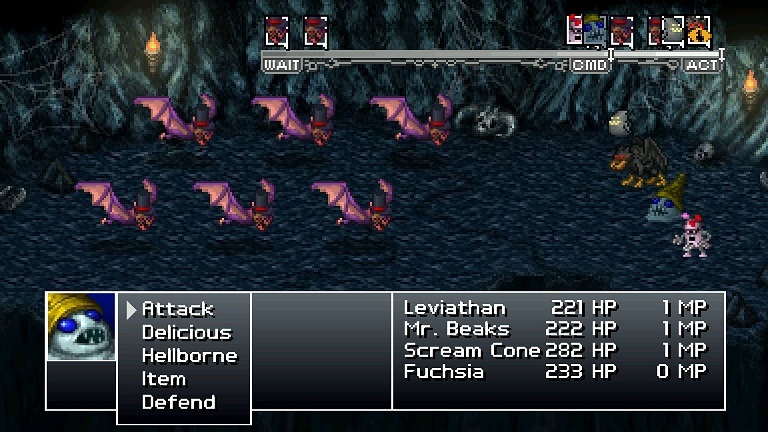 You kill hundreds of thousands of monsters that are little to no threat. This throwaway fight concept spans the globe, right into Japanese RPGs (JRPGS) like the Final Fantasy series. There are numerous encounters in that game which you can autoattack through with no thought at all, just to get more experience points in a grindy fashion. You also had consumable potions and items you didn’t need for the easy stuff and wanted to save for boss fights. Are throwaway fights fun? Maybe once every 10 fights it’s nice to just steamroll your enemies and completely crush them, to give a sense of power and progression (especially if the fight used to be hard). But after idly clicking and sleep walking through the twentieth easy, meaningless fight, it can be a bore and really turn people off the genre. What can be done? Well the long titled Penny Arcade’s On the Rain-Slick Precipice of Darkness 4 had a few neat concepts I thought I’d mention here. First of all potions and items aren’t traditional consumables, instead they are available on a per-fight basis. So they aren’t single use items anymore, but instead single use PER FIGHT. Similarly Hitpoints and Mana/Magic is restored after each fight, instead of grinding down the life of characters in a feeble attempt to make a later fight more challenging. And best of all the majority of fights are life or death affairs where you need to pull out the big guns and can’t just autoattack your way to victory. An older, quirky game Earthbound tried to avoid the throwaway fight problem by having enemies automatically flee if you were high enough level above them, thus avoiding the boring part of going through the motions when you know the outcome. But what could be done for D&D 4th edition? Try to make almost every fight matter, and every fight be a life or death, success or failure affair. Flatten out the resource grind down, let the players recover all their abilities and Hitpoints because they’ll need them for the next fight! What I find very interesting is if RPGs get to that point, their combat starts to resemble that of a skirmish game. Which means the RPG/skirmish distinction is even closer. In a skirmish game you have a complete, rested, fully ready force at the start of each battle. The battles are normally one-off, so consumables don’t matter as much. Normally the opponents are more closely matched in strength, meaning either side could prevail. There is no concept of wearing down a player through throwaway fights. Multiplayer online battle areans (MOBAs) like Dota 2 and League of Legends have adopted this match approach and fresh start idea. But for some reason those elements haven’t caught on in many RPGs. There is still this taboo about having “match based” RPGs fight where all the cards are on the table and there is no saving (or any need to save) for some future conflict.